[BOMBSHELL] Brett Kavanaugh Getting FIRED?! The nation learned Supreme Court Justice Brett Kavanaugh’s name last year when the Democrats put him through the ringer on account of false allegations… from 20 plus years ago. But despite their all-out smear campaign on the Supreme Court Justice and even his family, Kavanaugh made to the Supreme Court bench. However, months later and it’s still not sitting well with liberals. As first reported by The Daily Wire, students at George Mason University are pushing for Brett Kavanaugh to be FIRED from the class he teaches – even if it takes place in England. 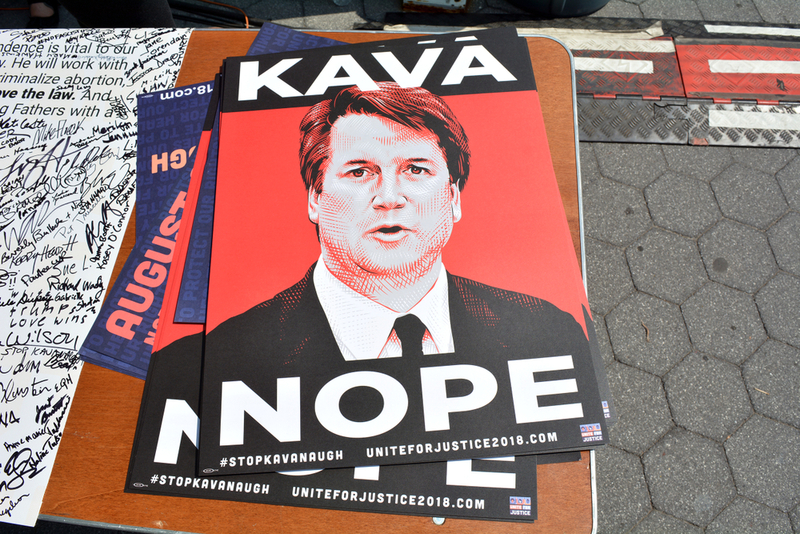 “The hiring of Kavanaugh threatens the mental well-being of all survivors on this campus”… “It is affecting my mental health knowing that an abuser will be part of our faculty”… “As someone who has survived sexual assault three times, I do not feel comfortable with someone who has sexual assault allegations walking on campus,” stated three female students. Even though the class is scheduled to be held in Runnymede, England this summer, and not on the U.S. campus, students are fighting it tooth and nail. But still faces criticism from those amongst his faculty as well and even claim Kavanaugh may not have been properly investigated. Which as any American who reads or watched the news during the Kavanaugh hearings could tell, there was more than a thorough investigation given. But that doesn’t seem to be enough for liberal-minded faculty and students.